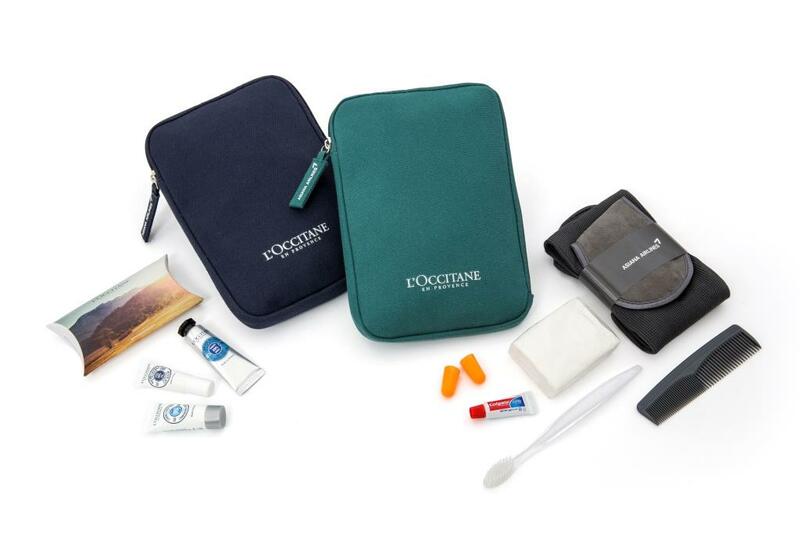 Neu-Isenburg, Germany/ Hong Kong, May 08, 2018 – Since May 1, passengers flying on Asiana Airlines’ (Asiana) Premium Classes have been enjoying two brand-new amenity kits developed by onboard equipment specialist SPIRIANT. Asiana’s First Class guests receive a revamped Salvatore Ferragamo bag with a newly updated luxurious and practical design. Now in two shades of grey, it also matches the interior’s “Tuscan Soul Quintessential” cosmetics collection by Bianco di Carrara. The kit’s functionality has also been boosted thanks to an added loop handle on the top. Meanwhile, Business Class travellers now enjoy a L’Occitane iPad Mini Case. It is made with padded cotton canvas and has a wide zippered opening, so it can easily be used as an iPad Mini or small tablet case. The kit will be available in two color combinations over the course of the contract: brown and beige to match the Asiana Business Class cabins and navy and green to echo the classic L’Occitane label. SPIRIANT, an LSG Group subsidiary, is a renowned provider of equipment solutions for airlines worldwide, ranging from design to logistics. Its in-house design studio and global network of experts have won a number of international awards, including the red dot design award best of the best, iF product design award and Supplier of the Year 2017. With a dedicated amenity kit knowledge center in Hong Kong, it delivers more than six million amenity kits to 30 airlines and partners with over 120 luxury, lifestyle and cosmetic brands worldwide.